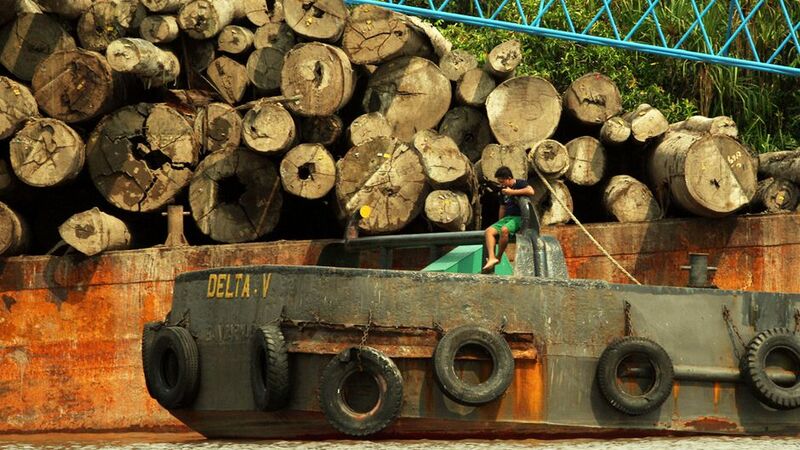 Photo: Achmad Ibrahim/Center for International Forestry Research. At a time when local communities in the developing world are confronted with not only their own resource needs but the wants of industrialized nations, there is growing controversy over the REDD+ mechanism being developed and supported by initiatives including the United Nations Programme on Reducing Emissions from Deforestation and Forest Degradation, and the World Bank’s Forest Carbon Partnership Facility. Companies and governments of industrialized countries sponsor REDD+ projects and similar funds with either public money or the carbon markets as a way of ‘contributing’ to halt deforestation in the global South. However, many assert that the underlying causes of deforestation remain untouched and allow the problem to continue to worsen, as evidenced by research such as this new study that finds two-thirds of the Amazon’s terrestrial biomass could be lost by later this century. Amongst the criticism is a new report by Carbon Trade Watch that takes a detailed look at REDD from the perspective of land and nature enclosures. Land enclosure essentially entails the loss of customary land rights by local people to “the privatization, de-regulation and liberalization policies” that transform that land into property to which traditional owners no longer have the same (if any) access. The report, titled “Protecting carbon to destroy forests: Land enclosures and REDD” is edited by Transnational Institute, the Berlin-based Center for Research and Documentation Chile-Latin America (FDCL) and FIAN, an international human rights organization focused on the right to adequate food. “REDD+ will not stop deforestation,” the report argues. Rather than addressing the root causes of deforestation, REDD promotes the argument that environmental destruction in one location can be ‘compensated’ in another. As such, REDD reinforces underlying causes of deforestation. The report looks into some of the vested interests in REDD: corporations involved in monoculture plantations, large-scale agribusiness, industrial logging, hybrid seeds, extractive industries, and financial investment banks. REDD provides these corporations a “green cloak” to evade their responsibility for forest destruction. “There are in consequence no ‘fixes’ for these structural features,” the report argues, “they are inherent to REDD+”. The report quotes Folker Franz, then-senior environmental adviser for BusinessEurope, a European corporate lobby group, speaking to IPS. Franz argues that greater use of forest credits “would be the way to go to save the world. If we see people profit from this, then let them profit, so long as it stops deforestation in Indonesia and Brazil”. Carbon Trade Watch points out that this “apparent apolitical ‘logic’ seeks (intentionally or not) to detach the process of profit accumulation from a system dependent on extraction and dispossession of mainly Indigenous Peoples, small farmers, traditional communities and forest-dependent peoples”. The reality is that REDD is taking place at the same time as a massive expansion of agribusiness in the global South. In 2012, GRAIN released a data set documenting 416 land grabs by foreign investors, covering a total area of almost 35 million hectares. Agribusiness companies have expanded rapidly since the food and financial crises of 2008. While REDD proponents argue that REDD can help local communities and indigenous peoples to establish land rights, Carbon Trade Watch is concerned that, “The prospect of carbon credits appears as a major incentive for establishing other types of land enclosures.” The danger is that REDD focuses on the carbon stored in forests and separates this from broader rights to forests and lands. Associated with developments in satellite and infrared technology, Carbon Trade Watch argues that REDD carbon measured has a “dark side”. This sort of problem can already be clearly seen in The Nature Conservancy’s Guaraqueçaba REDD project in southeastern Brazil, where local communities’ livelihoods have been severely impacted by the project. This story is a modified version of a Creative Commons 3.0 licensed article written by Chris Lang and published on REDD Monitor. Protecting carbon to destroy forests? Land enclosures and REDD+ by Chris Lang is licensed under a Creative Commons Attribution-NonCommercial-ShareAlike 3.0 Unported License. Based on a work at http://www.redd-monitor.org/2013/05/06/protecting-carbon-to-destroy-forests-land-enclosures-and-redd/.